In our past two blog entries, we provided a detailed guide for prepping your home and plants for the impending winter season. We’re continuing with this theme but shifting our focus to the toolshed. When winter rolls around, Jack Frost can wreak havoc on unattended lawn tools – especially power equipment like mowers, blowers and hedge trimmers. These power tools are substantial monetary investments that can often be neglected during the off-season. Freezing temperatures throw a wrench into the inner workings of small gas engines and, in some instances, cause irreparable damage. Thankfully, with a little foresight, you can avoid wasting valuable time (and money) futilely futzing with a faulty gas engine or replacing it altogether. Prepare for the impending cold front by following these simple steps, and ensure a smooth start to the spring season. If you’ve ever plugged in a power tool only to have it sputter and shudder, the engine might be having difficulty generating the heat required to power up. After months of lying dormant in a frigid environment, your engine is unable to adjust to such a dramatic shift in internal temperature. In addition, the freezing cold also has the potential to drain an engine’s battery life and substantially accelerate degeneration. Certain chargers are completely ineffective after being exposed to the cold for prolonged periods of time. To extend the longevity of your tools and ensure easy startup, invest in a portable garage heater. Your heating unit doesn’t need to be robust or cranked up to full capacity – in fact, that would be wasteful. As long as your shed’s temperature is kept slightly above freezing, your tools should be able to rev up without issue. Left untouched, oil gradually oxidizes and turns into a heavier sludge that is less effective at lubricating your engine. Old gas also does not ignite as well as fresh fuel. At the tail end of fall, stagnant gasoline should be completely cleared out or stabilized prior to storage. Emptying out your equipment is simple – unscrew the fuel tank and dump the remains into a capped container. If you’re unable to drain all of the gas, try using a turkey baster or similar hand pump to get every last drop. Once full, dispose of your unwanted fuel responsibly at your community’s toxic waste center. Instead of tossing out your fuel, you can add a gas stabilizer to it. By diluting your gasoline with fresh fuel or a product like Sta-Bil, you can substantially mitigate the effects of oxidation. Once your gas has been diluted, make sure to store it in an air-tight container to seal it off from additional oxygen. After frequent use during the spring and summer, engine parts can deteriorate and suffer poor performance. Before stowing your tools, open up the insides and perform a thorough examination of your filters. To swap out your fuel filter with ease, bend a metal coat hanger, snag your fuel line and replace the filter attached to the end. A torn air filter can cause debris to accumulate. Fortunately, changing air filters is a breeze – just make sure you wear a dust mask! Spark plugs are also an easy fix. To keep your plugs in perfect condition, remove them with a wrench and scrub off residue. If your plugs are particularly filthy, don’t worry – replacing spark plugs is quick and inexpensive. Another inevitability of winter storage is unwanted contact with moisture. If your ceiling suffers a leak, moisture can seep onto your equipment’s hinges and rust them beyond repair. 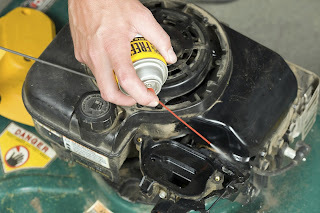 To prevent rust from deteriorating your tools, rub them down liberally with lubricant. By taking these precautions, you’ll stay one step ahead of winter and avoid defrosting your equipment in the spring. 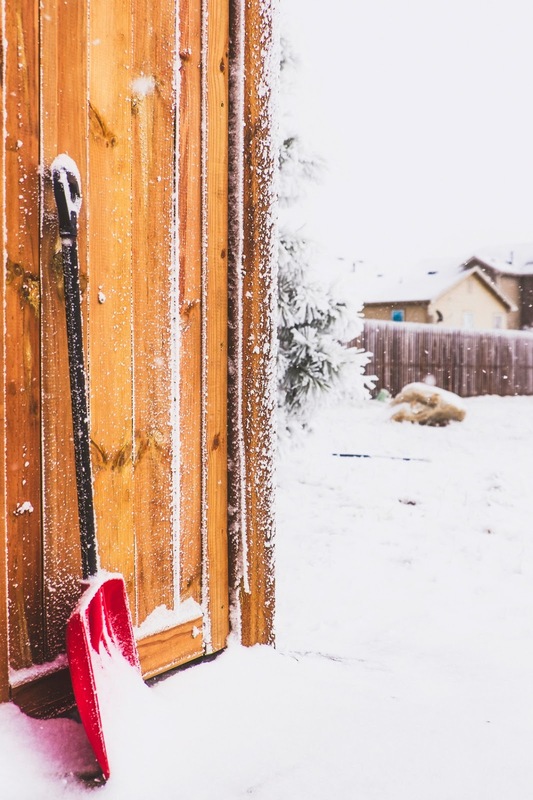 These tips may seem like common sense, but with the hectic holiday season, it’s easy to neglect tools lying dormant in your shed. Check out our selection of lawn power equipment and then our heating & cooling page to ensure your tools survive winter! These precautions might prove to be really helpful in this weather.By taking these precautions,we will definitely be a step ahead.Thank you so much!